Learn how to update Dell Inspiron 15 3537 Windows 7 64-bit drivers.Download Dell Inspiron 15 3537 drivers for Windows 7 64bit operation system .Install Dell Inspiron 3537 drivers in your Windows7 64bit now free. > Processor : Intel Core i7 4500U . > Memory Installed : 8GB , DDR3 . > Graphics Card : AMD Radeon HD 8850M . > Display : 15.6 inch, 16:9, 1600x900 pixels . > HDD : Seagate 500 GB . > Sound Card : Realtek ALC3223 High-Definition Audio. > Network Cards : Realtek LAN RTL8106E Ethernet Controller, Dell Wireless 1705 Wi-Fi + Bluetooth . > Battery : 48 Wh Lithium-Ion . > OS : Microsoft Windows 8 64 Bit . > Laptop Price : 900 USD . 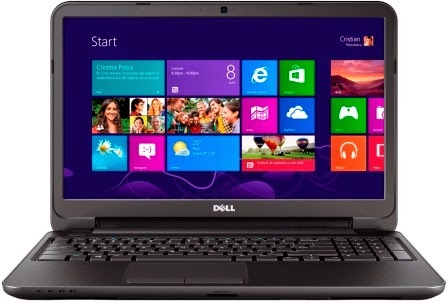 Here is the original drivers download links of Dell Inspiron 15 3537 drivers from the official website of Dell , just one click and download your desired driver .We want to make it easy and fast to update your Dell laptop drivers . Realtek ALC3223 High-Definition Audio Driver support Inspiron 3537,3737,5537,5737 running the following Windows Operating system: Windows 7 64bit .The latest Audio driver version of Realtek ALC3223 High-Definition Audio Driver is Version 6.0.1.7023 . This package provides the driver for Intel Management Engine Interface Driver is supported on Inspiron 3737,5537,3537,5737 that are running following operating systems: Windows 7 64bit. .The latest version of Intel Management Engine Interface driver is Version 9.5.23.1766 . Intel USB 3.0 eXtensible Host Controller Driver package support Inspiron 3737,5537,3537,5737 that using the following Windows 7 64bit operation system .The latest version of Intel USB 3.0 eXtensible Host Controller Driver is Version 2.5.3.34 . Intel Chipset Driver package support Inspiron 3737,5537,3537,5737 for Windows 7 64bit operating System .The latest version of Intel Chipset Driver is Version 9.4.0.1017 . AMD Radeon HD 8670M Driver Package support Inspiron 3537,5537,3737,5737 for Windows 7 64bit .The latest version of AMD Radeon HD 8670M Driver is Version 12.100.14. AMD Radeon HD 8850M / 8870M Driver Package support Inspiron 3537,5537,3737,5737 for Windows 7 64bit .The latest version of AMD Radeon HD 8850M / 8870M Driver is Version 12.105.4. Intel HD 4000 Graphics Driver support Inspiron 5537,3537,5737,3737 that use Windows7 64bit .The latest version of Intel HD 4000 Graphics Driver is 10.18.10.3345 . Realtek RTS5179 Card Reader Driver support Inspiron 5537,3537,5737,3737 using Windows 7 64bit .The latest version of Realtek RTS5179 Card Reader Driver is Version 6.2.9200.39039 . Dell Wireless 1705 Wi-Fi + Bluetooth Driver support Inspiron 5537/3537/5737/3737 using Windows 7 64-bit . Dell Wireless 1705 Wi-Fi + Bluetooth Driver latest version is Version 10.0.0.255 . Dell Inspiron 3537 System BIOS update support Dell inspiron 3537 running Windows7 64Bit and Dos .Dell Inspiron 15 3537 System BIOS update latest version is A08 . Dell Synaptics Touchpad Driver support Inspiron 5537/3537/5737/3737 running on Windows 7 64bit .Dell Synaptics Touchpad Driver latest version is 17.0.8.1 . This is the Basic drivers for Dell Inspiron 3537 drivers for windows 7 64 bit operating system .For more drivers please visit the official website of dell support from here " Dell Inspiron 15 3537 drivers " .